3 Should you buy it? In the Samsung-owned Harman audio empire, consisting of JBL, AKG, and others, Harman Kardon is the original brand and it still has a fairly decent reputation for making products with relative audiophile appeal. The group is no stranger to Google Assistant-equipped devices, but the Citation/Enchant range of speakers, subs, towers, and soundbars really caught our attention when it was announced last summer. This could be the versatile Sonos competitor we've been waiting for. The range went on sale last month, and I've been able to test the cheapest speaker in the lineup, the Citation One. At $200, it's competing with the Sonos One (I wonder where it got the name from), as well as other Assistant speakers from Sony, LG, JBL, and many more. 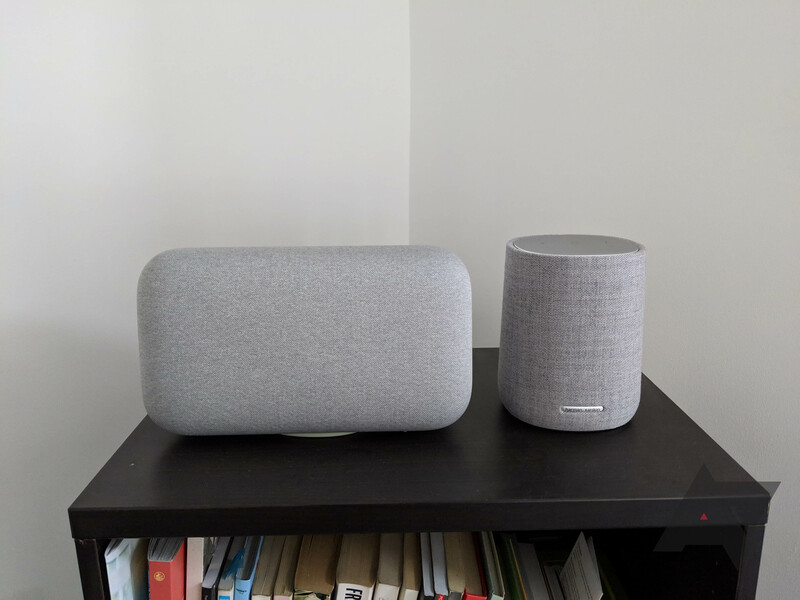 It's a good price point for those not willing to pay $400 for the best-in-class Google Home Max, and they all sound far better than the regular Google Home or Mini. As you're about to find out, the Citation One has impressed me in more ways than one. Sound Thumping bass and punchy highs elevate this above most similarly-priced competitors. Design It may not do much to stand out from the crowd, but it's an undeniably classy looking piece of kit that should blend well with your living room decor. Price $200 might seem like a lot, but you get great sound and performance for your money. If you've already bought into the Google Assistant ecosystem, this will supplement your setup nicely. If you can get it at a discount, even better. Controls Touch-sensitive buttons continue to be a perplexing choice; they're just not as user-friendly as real, tactile ones. No wired audio input The Citation One supports Bluetooth or casting, but has no wired connections. My initial impression was very much dominated by the size of the Citation One. It's far bigger than I was expecting, a good inch taller and wider than the Sonos equivalent. It's easy to see where its design cues came from, particularly when you look at my gray model next to the chalk Home Max. The fabric that covers the 89mm woofer and 20mm tweeter is slightly rougher and fluffier, but from a distance, the effect is much the same. 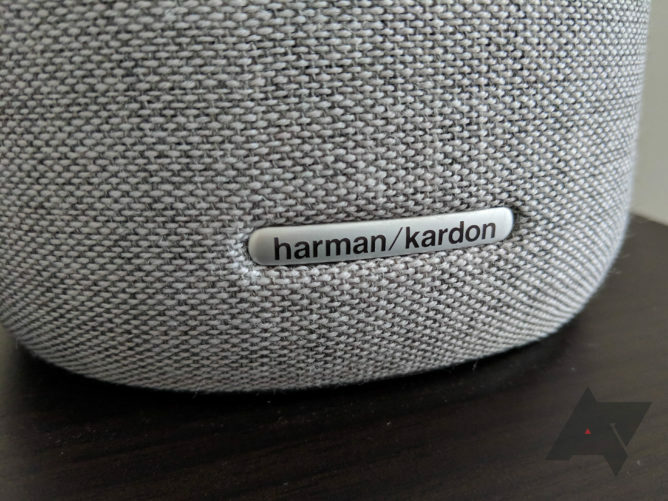 Unlike Google's brandless simplicity, the Citation has a small metal inlay with the Harman Kardon logo, but it's small enough not to be flashy or distracting. The four Assistant LEDs are to be found under the material towards the top, staying hidden when not needed, but bright and clearly visible when called upon. The matte silver finish of the top panel is subtle and attractive, while a shiny ring between the fabric and the flat top adds just a hint of flare. Subjective, of course, but I think the Citation One is good looking without being ostentatious. To some, it may well seem boring. On the bottom, there are rubber strips to keep the hefty unit in place wherever you choose to place it. 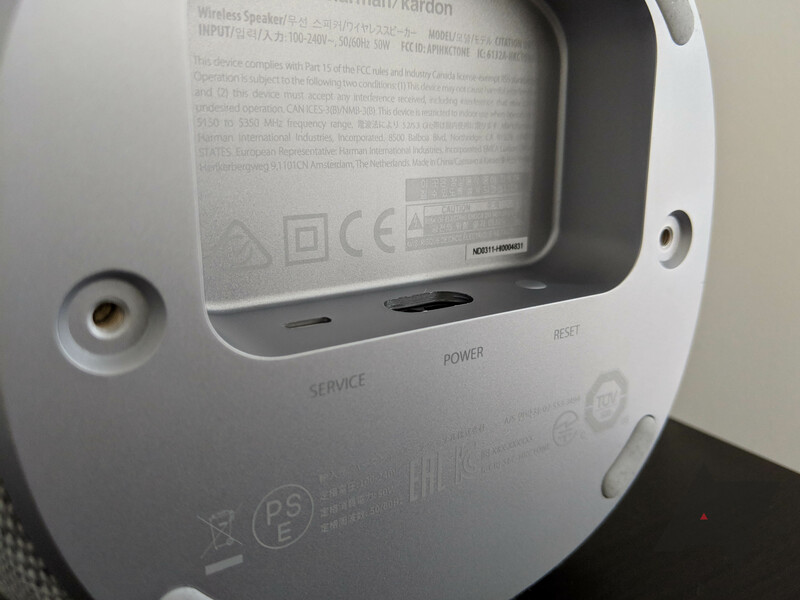 This is also where you'll find the power input, WiFi indicator light, reset button, and service port, but that's it. You don't get any audio input options other than casting via WiFi or Bluetooth, so if you were hoping to hook this up to an existing audio system, you're out of luck. 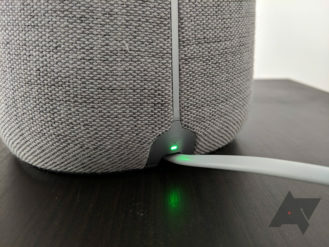 Also counting against this speaker's versatility is the fact there's no ethernet port for a direct internet connection. For controls, the Citation One has five touch-sensitive buttons on the flat top panel. 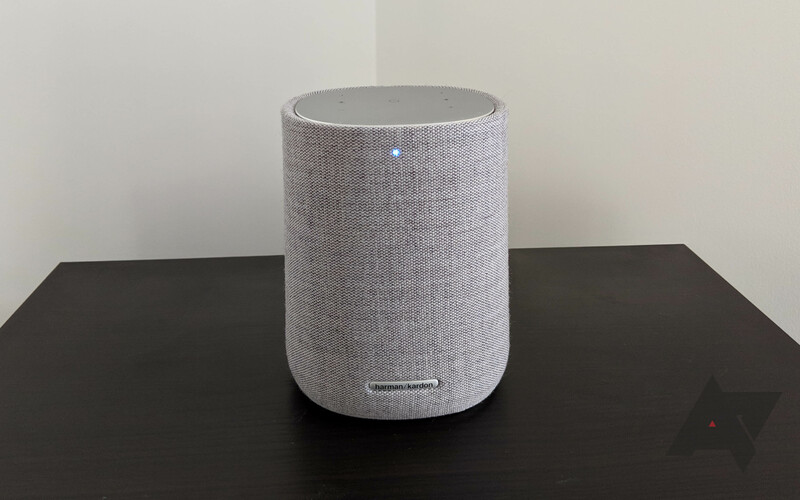 A tap of the central multi-function circle plays or pauses audio content and also turns off alarms and timers, while a long-press of more than two seconds is required to summon the Google Assistant. The other four buttons are volume up and down, mute, and bluetooth pairing. It's my opinion that touch controls are always inferior to physical buttons since tactility is preferable, and that's especially true in this case. You can't simply tap any of the icons, you need to firmly press down and for long enough to register, which takes some getting used to. To begin with, I managed to activate the Assistant a few times when merely trying to play or pause. Another small issue with the controls — if I'm to really nitpick — is that when you change the volume, your natural hand position obscures the visual indicator lights. 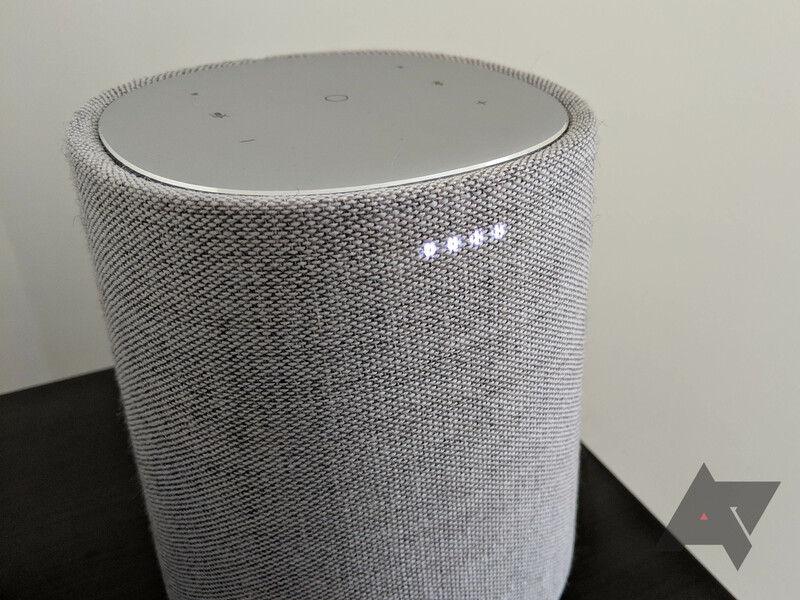 Setting up the Citation One is as easy as any other Google Assistant device — just download the Google Home app and follow the simple instructions. In the box, you get the speaker itself, a 100-240V ~ 50/60Hz power cable, and some instructions booklets. There's also a leaflet offering you a three-month free subscription to Google Play Music, if you want to make the most of it before it goes away. On firing the Citation One up and playing some music, its powerful bass is immediately noticeable. It doesn't quite match the Google Home Max in terms of low-end output, but for a 40W speaker costing half as much, it's much closer than I was expecting. In fact, there will be too much bass in the mix for some people — I'm lucky that I mostly listen to bass-heavy electronic music — and there's no EQ available in the Home app as with Google-branded speakers. Highs are also punchy, and the overall balance is warm and bright. The clarity won't quite match more expensive equipment, but it's more than acceptable for $200. One thing I will say is that the surface you set the speaker down on is important. I initially had it on my rather wobbly desk, and that didn't respond well to the thumping bass. You really need to have it on a solid surface for it not to become a bit of a rattler, but that's true of many similar products. As you'd expect from this form factor, the Citation One is a mono speaker, so you'd need two for stereo sound (Edit: According to FSMcas in the comments, a bug is currently causing supposed stereo pairs to both output only mono. Harman and Google are investigating the issue). In terms of audio formats, the following are supported: HE-AAC, LC-AAC, MP3, Vorbis, WAV (LPCM), FLAC, Opus. I found the two microphones sitting on top of the speaker to be at least as good as those on any Google Home device, if not better. 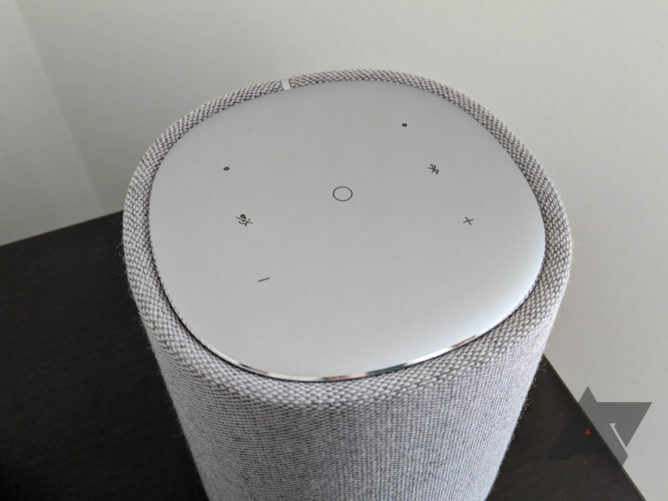 Even with music blasting pretty loud, they do a great job of picking your voice out from across the room before lowering the volume so it can easily hear your command. 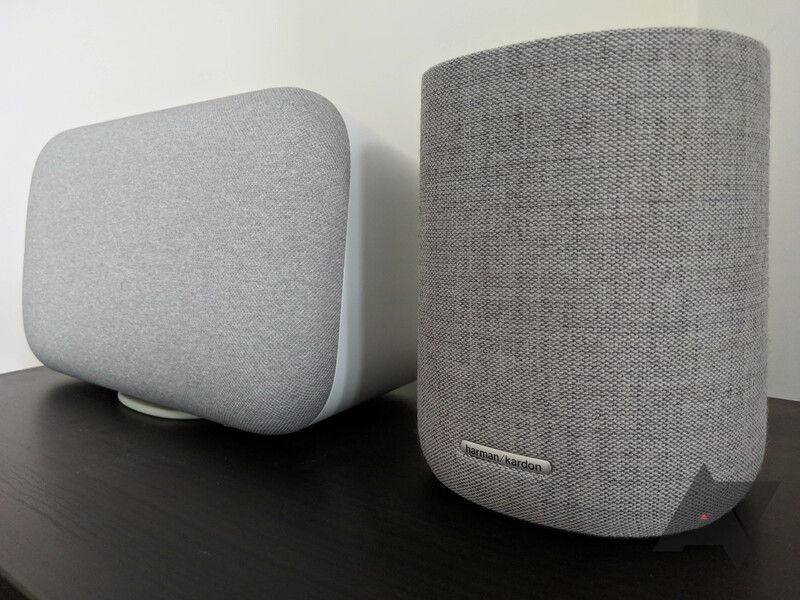 As with all Assistant speakers, the Citation One operates in exactly the same way as a Google Home speaker, so all of the many useful options apply. 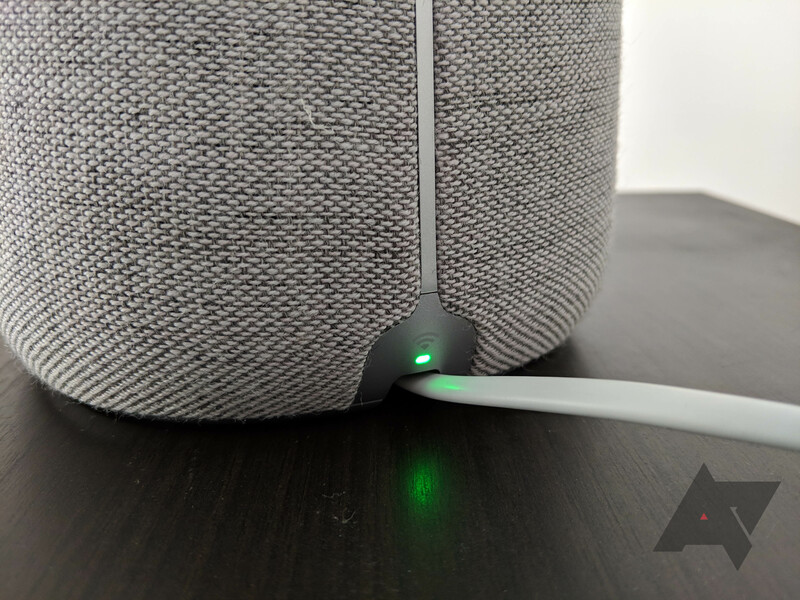 Ask it questions, ask it to play music, ask it to control your smart home — it can do it all, but it's worth noting that newer features usually come to Google's own products first. Yes. There's a lot to like about the Harman Kardon Citation One and I would certainly recommend it. The Sonos One will finally get the Google Assistant at some point this year, and that may still prove a more compelling option to some. While I can't speak for the sound of that competitor, I can say that the Citation One produces stellar audio quality, easily justifying its $200 price tag when compared to the more expensive Google Home Max. The touch controls might not be ideal, but few competing products do better, so I'm not marking it down too much for that. One reason not to buy it would be if you wanted to integrate it with an existing audio system — only wireless connections are available.